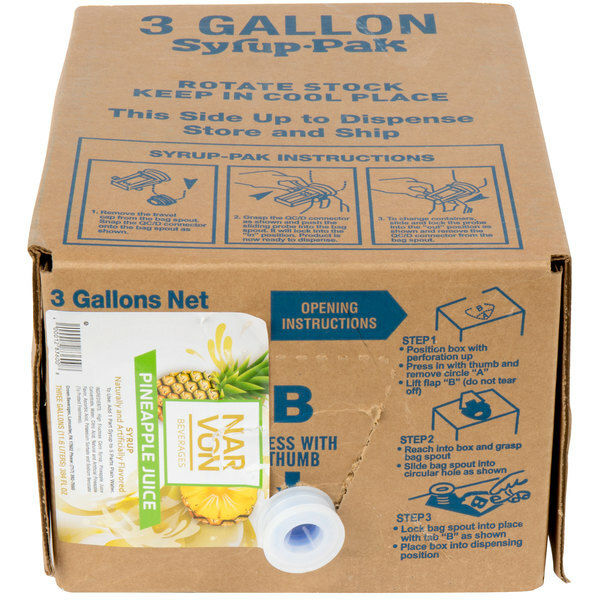 Keep your beverage dispensers stocked with quality juice syrups with this Narvon bag in box pineapple juice syrup! 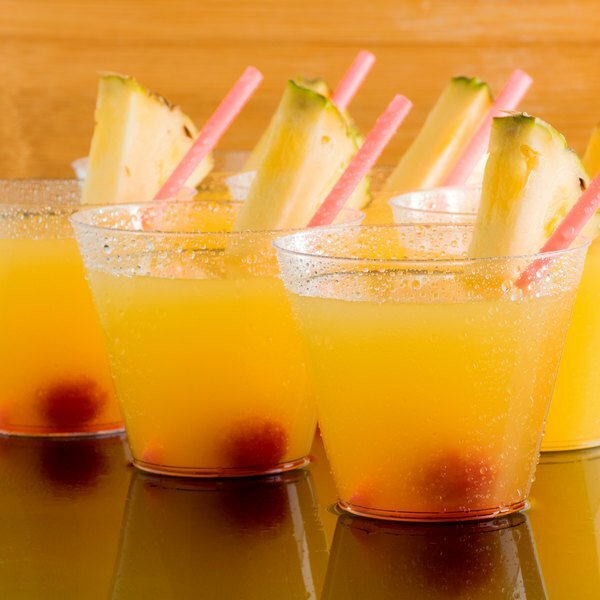 This refreshing pineapple juice is perfect alone or as part of your signature cocktail selection. It's great for breakfast bars at your hotel or resort, yet the tart, but sweet taste of pineapples makes it also ideal for mixing into tropical drinks like pina coladas, bay breezes, tropical tequila cocktails, or pineapple mango rum cocktails. 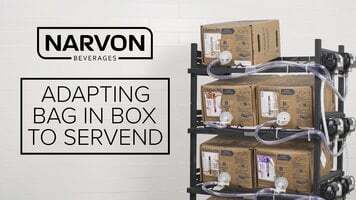 Plus, the convenient packaging makes it easy to refill your beverage dispensers for continued service of this popular drink. "I love this pineapple juice!! 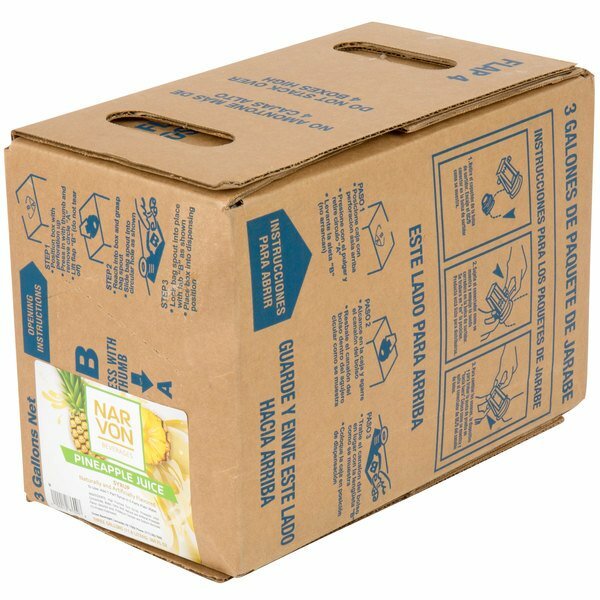 This box holds 3 gallons. It is very easy to use and you can use it in many ways. 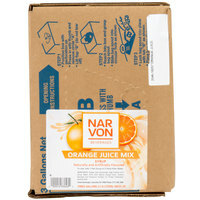 It's perfect for cocktails"
Narvon syrups are easy to use with a convenient bag-in-box styling, plus the bag and box are recyclable, making them an eco-friendly option, too. 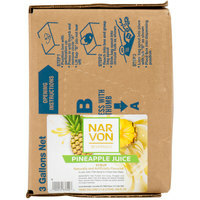 Each 3 gallon bag in box will yield approximately 18 gallons of juice when used with a fountain soda dispenser. Simply calibrate your dispenser to mix 1 part syrup to 5 parts water. 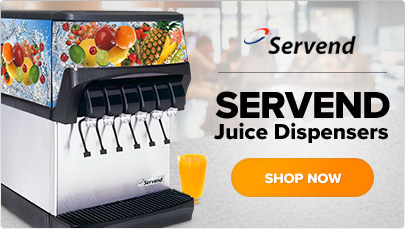 Your dispenser will dispense only the desired amount to mix a drink, minimizing waste while maximizing profits. 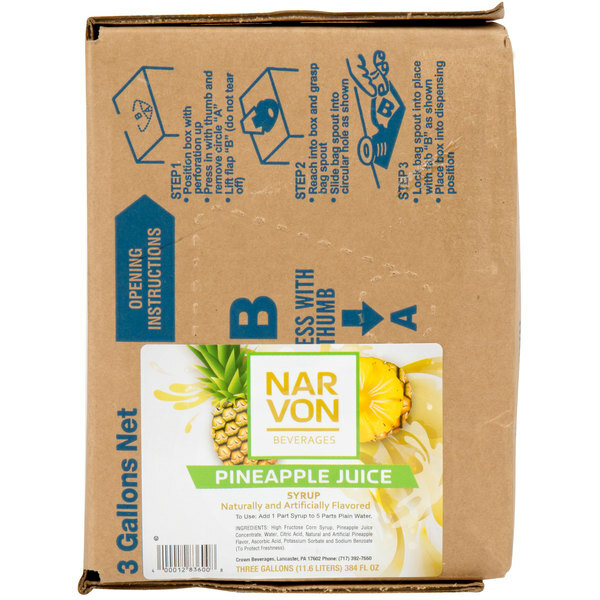 Narvon 3 gallon bag in box pineapple juice syrup tastes amazing and is priced at such a great deal. It is a must have as a mixer. This is a really delicious tasting juice. The pineapple flavor isn't all that distinct, its kinda like a lot of tropical fruits combined. Tastes really good though. 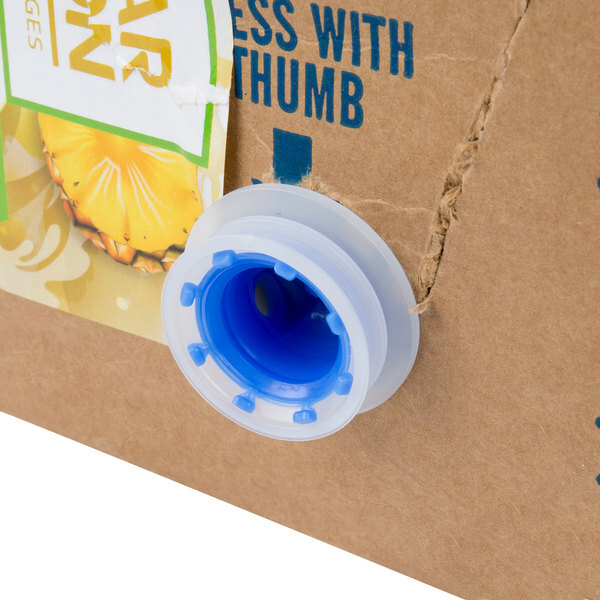 This product is great for what we use it for. We mix it with other juices and use it in summer drinks at our tiki bar. It does exactly what we need. I'm torn on this one—on one hand, this tastes nothing like real pineapple juice. If anything I would call it "tropical beverage" as opposed to "pineapple juice." On the other hand, it's delicious. It's really going to boil down to your particular application as to whether or not this is suitable.